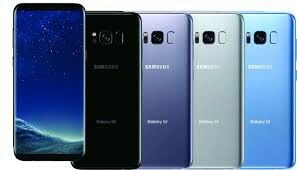 Samsung had been rumored to be preparing a February security patch for the Galaxy S8, sparking speculation that it would also come with the official update to Android 9.0 (Pie) for the 2017 flagship. This patch is now reportedly arriving on the devices in question, but it is still based on Oreo. Therefore, fans of this phone still have another month to wait for their major OS upgrade. The Samsung Galaxy S8 series is included in the OEM's plans for updates to Android 9.0 (Pie). This change in OS will also be accompanied by the new launcher One UI. The Korean electronics giant has reportedly been working on a new security patch for the 2017 line of premium smartphones to be released this month. This has panned out into new OTAs, but it may not be all some may have hoped. Samsung's work on a February 2019 security patch had led to hopes that the stable Pie update was coming with it. This may be based on observations that most phones to have this patch level are Pixel and Essential devices at this point. However, the patch has arrived based on Oreo, indicating a dearth of change to Samsung's original plan to roll out major updates. This schedule puts the Galaxy S8, S8 Plus and Note 8 in line for Pie in March 2019. In the meantime, there is an official beta ROM for these phones that does bring One UI and Android 9 to these phones. However, it is still experimental at this stage and may not be available to all users. Therefore, it seems those who have stuck with these devices have about another month before their phones get the notificaiton they may be dreaming about.